Suarez has been the main man upfront for the Catalan giants over the past four-and-a-half seasons and during this period, he has amassed over 150 goals in all competitions. Despite this, his long-term future remains uncertain with his trailing age and according to The Star, the Blaugrana are looking into a replacement for the Uruguayan. 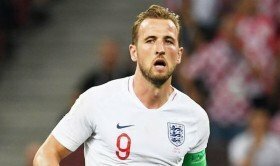 It is added that Kane is the prime target on their radar and they could be prepared to pay a world-record fee in order to prise him away from north London. Kane has once more been in impressive form for Spurs this season and he has already netted 13 times for the club in 20 appearances across all competitions. His current contract with Spurs is only due to expire at the end of the 2023/24 season and the club remain under no pressure to accept any suitable offers.